Registered Nurses are in the nursing catbird seat. They have already earned at least a two-year Associates degree in Nursing, many a Bachelors of Science in Nursing (BSN). With a RN license nurses may work in any patient care environment they wish as well as engage in exciting jobs like travel and cruise nursing. Registered nurses are in huge demand. The well-publicized nursing shortage knows no regional boundaries—it’s widespread and systemic. So the demand for well-trained, licensed RNs is profound. In hospitals RNs work on nursing staffs in almost every specialty. Some gain highly selective skills and know-how that ensures them career opportunity and upward mobility. RNs act as the middleman between patient and physician and are often the first to recognize critical changes or encouraging improvements in patient status. They monitor vital signs, administer fluids and medications, document the bulk of patient care, direct the work of LPNs in their charge, and interface with patient families. Most rotate charge responsibilities, act as preceptors for novice nurses and even play small roles in management and education within their departments. Outside a hospital environment RNs may work in nursing homes, long-term care facilities, outpatient clinics, drug and alcohol rehabilitation centers, mental health centers, public and private school systems, and almost anywhere a well-trained nurse is required. RNs are not required to work beyond a 40-hour workweek, but they may be expected to work 12-hours shifts and rotate between day and night schedules, both of which can be physically draining. Patient lifting is a hazard of the job. Otherwise nurses are often subjected to stressful situations and staffing shortages that demand they care for more patients than might be ideal. RN licensure can be earned via a couple of different degree avenues. RNs may be prepared for the exam via a two-year Associates degree in Nursing or a four-year Bachelors of Science in Nursing, a.k.a. the in-demand BSN degree. In some cases the declining nursing diploma/certificate programs may also lead students to RN licensure. The NCLEX-RN is the industry-standard RN licensing exam. The National Council of State Boards of Nursing (NCSBN) designs the NCLEX and partners with testing centers that administer the exam all across the United States. Armed with a RN license nurses can migrate laterally or vertically within the nursing field. Vertical career movement often demands RNs pursue credentialing in a particular nursing specialty, such as trauma nursing, pain management, oncology, and dozens of other options; or that they engage in advanced nursing degrees like Masters in Nursing for Advanced Practice specialties like Nurse Practitioner, Nurse Midwife, or Nurse Anesthetist. At this stage of the game nurses have plenty of incentives toward career motivation. 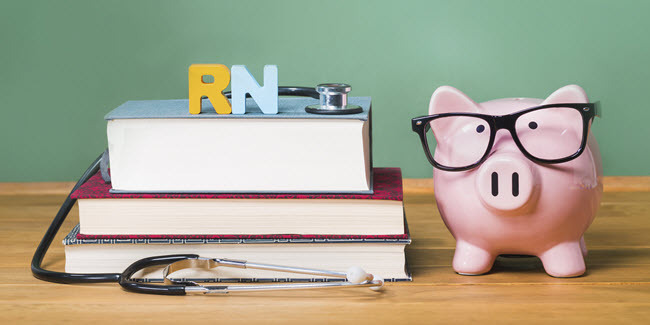 Federal and state governments maintain attractive nursing school scholarships and nursing student loan repayment programs that can all but foot the bill for a nurse’s education.